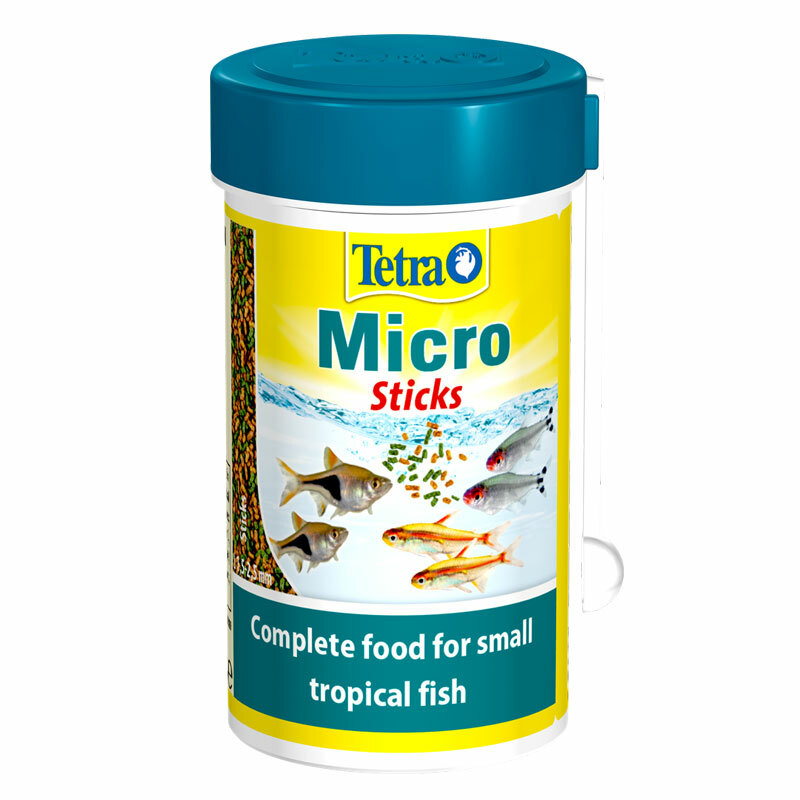 Tetra Micro Sticks are a stick food for small ornamental fish a floating and slowly sinking complete food with an extra-short length of 1.5 to 2.5 mm. With top-quality nutrients for the special requirements of small ornamental fish and a balanced formula comprising plant and animal based ingredients. The small sticks soften up quickly so that the fish can eat them easily. Highly digestible which helps to keep the water clear. Ideal for young growing fish of all types.